What else can I say? 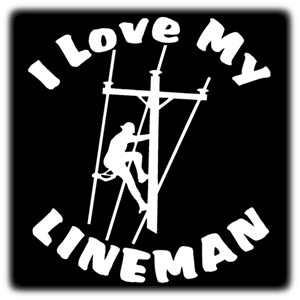 I Love My Lineman and I want everyone to know it. This great looking vinyl decal is about 6" in diameter. It is easy to apply and looks great on tinted windows. It is available in white or light pink. 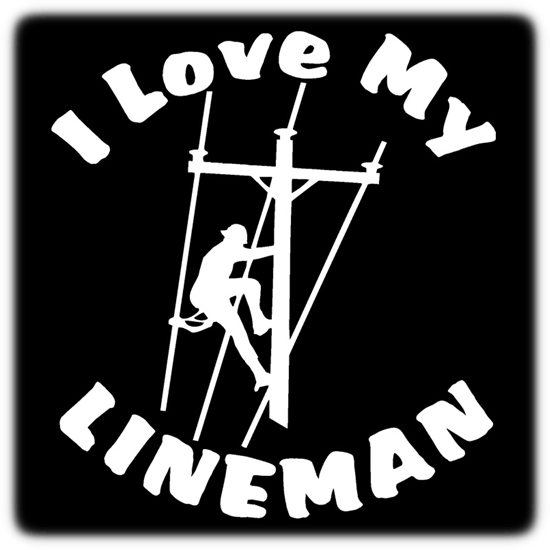 Show your love for your Lineman and get one today! 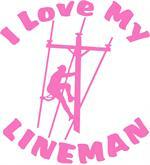 I have been a lineman wife for years now. I bought this decal about 3 years ago and put on my car. 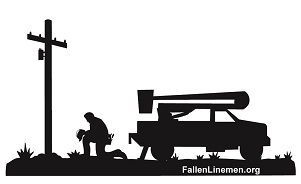 I thought it wouldn't last but I wanted to show that I was proud of my lineman no matter how long it lasted. To my suprise it has lasted for 3 years and has no wear on it. I love it and would recommend it to everyone that wants to show their support for their lineman.